This month we are giving players the opportunity to bag tons of loyalty points with up to 21 new games. With a range of brand-new fun games such as Fruit Blox and Vegas Magic, your players will be eager for more and happy to pick up triple loyalty points when they play on our specified dates. 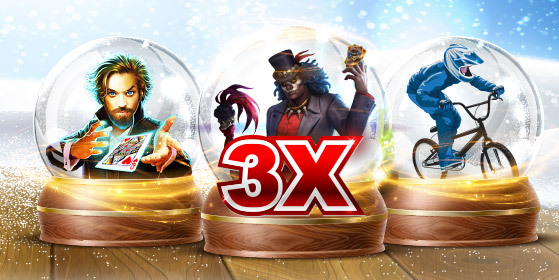 With five days spread out across the month, your players will get to test out fresh and exciting new slots games. Let your players go on a quest in the Lost Ark or Atlantis or test out their skills in Electric Wilds. It’s all waiting for them in January on premier game days: 1st, 9th, 16th, 23rd and 30th January.